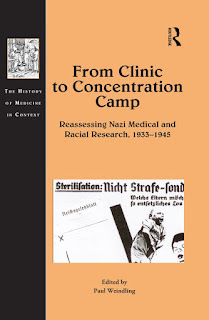 You can download From Clinic to Concentration Camp : Reassessing Nazi Medical and Racial Research, 1933-1945 by Safdar Shaheen free in pdf format. Representing a new wave of research and analysis on Nazi human experiments and coerced research, the chapters in this volume deliberately break from a top-down history limited to concentration camp experiments under the control of Himmler and the SS. Instead the collection positions extreme experiments (where research subjects were taken to the point of death) within a far wider spectrum of abusive coerced research. The book considers the experiments not in isolation but as integrated within wider aspects of medical provision as it became caught up in the Nazi war economy, revealing that researchers were opportunistic and retained considerable autonomy. The sacrifice of so many prisoners, patients and otherwise healthy people rounded up as detainees raises important issues about the identities of the research subjects: who were they, how did they feel, how many research subjects were there and how many survived? This underworld of the victims of the elite science of German medical institutes and clinics has until now remained a marginal historical concern. Jews were a target group, but so were gypsies/Sinti and Roma, the mentally ill, prisoners of war and partisans. By exploring when and in what numbers scientists selected one group rather than another, the book provides an important record of the research subjects having agency, reconstructing responses and experiential narratives, and recording how these experiments - iconic of extreme racial torture - represent one of the worst excesses of Nazism.